For my final Want2Scrap guest designer project, I wanted to show a framed layout that I put together after my fabulous trip to New York City earlier this month with my dearest, Jenn Balcer. 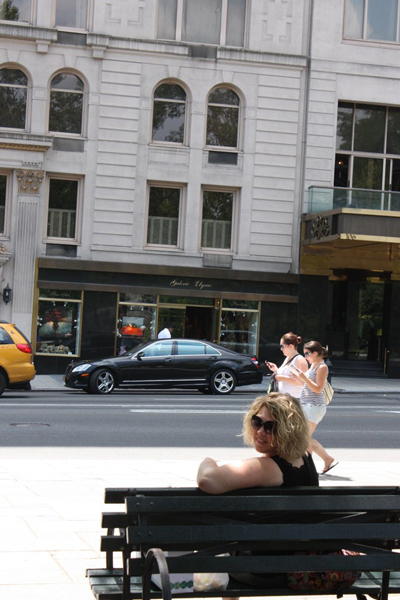 Jenn and I took Manhattan by storm for 4 full days…making the absolute most of it! Sightseeing! Shopping! Eating! Seeing Wicked! The Crown of the Lady Liberty! The Empire State Building! With lots of open time (and no kids in tow), we were able to seize the days and nights! It was truly a fabulous trip, and I feel so blessed to tuck these memories into my heart to relish for many years. This is a photo was taken at the top of the Empire State Building at midnight. Designer tip – Coloring Want2Scrap™ rhinestones with Copic Marker is easy since the alcohol based ink will adhere to virtually any non-porous surface. While bling is still on manufacturer packaged acrylic sheet, lightly skim color over the top of silver bling with the side of the brush tip on the Copic Sketch (or Ciao). This will let you apply ink over top of the bling embellishment very quickly without applying ink to the clear adhesive of the design. You should probably select a color of marker that is a shade or two *darker* than your desired color, and always test an inconspicuous rhinestone before coloring final embellishment. 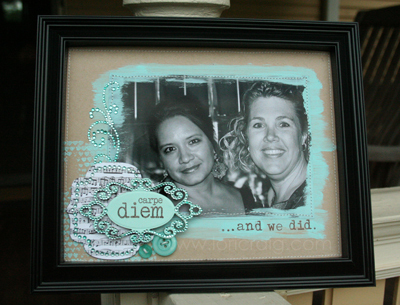 I can’t believe I’m at the end of my Guest Designing month with Want2Scrap™. I’ve assured Miss Heidi that’s not the end of my Want2Scrap™ consumption. 🙂 Thanks so much to Michele and her fabulous team for inviting me to share with you this month. I’ve loved it! I made it home from Oklahoma City last night where I had a great Copic certification class on Friday and a special visit with Jenn, Beate, Sharon and Angel. After dinner with my family and putting two tired (and dare I say cranky) cherubs (who stayed up way too late at a church sleep over the night before) to bed, it was time to get inky for this week’s CPS Sketch. A little decompressing after a busy day, if you will! Yes, I took some liberty the sketch. Yes, you are allowed to do that. The point is to have fun and try new things. This one stretched me in ways I didn’t know were possible. I call this ‘something borrowed’ since that fits my intended purpose for this card, and I had used an old library card for the base of my main image layer. 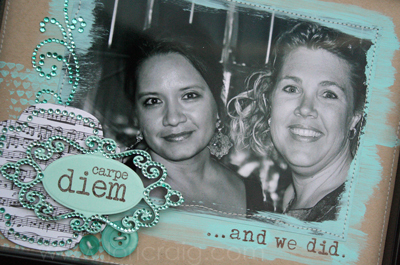 My guest design month with Want2Scrap is coming to a close in a few days, but I’ll continue using their pretty bling. The rhinestones on this project were all silver and accented with a R59 Copic Marker. I didn’t bother with the airbrush because the clear adhesive backing would have turned red, as well as the rhinestones. 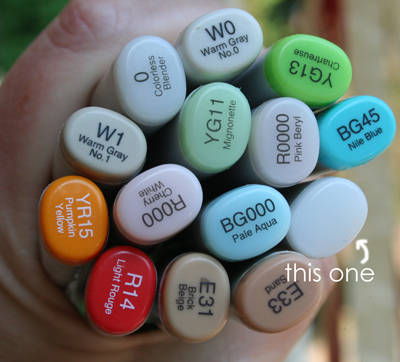 I just use the brush tip of my marker and colored lightly over the top of the sets of rhinestones – super quick. I’m happy to have this card finished (with exception to the sentiment inside), and I will be even happier when it hits the mailbox on Monday morning. Have a beautiful, restful Sunday. 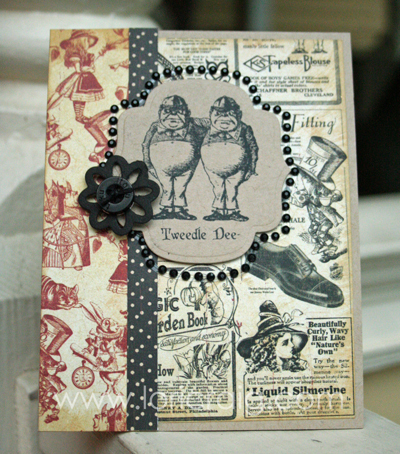 I created a project and a card for my first Guest Designer spot with Want2Scrap this week. I love working with their team. 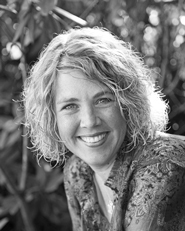 Miss Heidi published my projects a day or two ago, but I wanted to give you a peek here…just in case you missed them. The notebook was left from a 3-pack that I shared with Jenn in NYC. We each used one of these to jot notes down about places we had been, timeline of our daily running and quirky things that make trips with a friend so fun. Of course, there was plenty of quirky NYC trivia…like, there are 14,000 cab cars in NYC and over 30,000 registered cabbies…the Rockefeller Building is 80 floors tall and was completed in 1933… there are over 700 employees at the 24-hour Apple Store on 5th Avenue. I thought the extra would make a beautiful small journal. 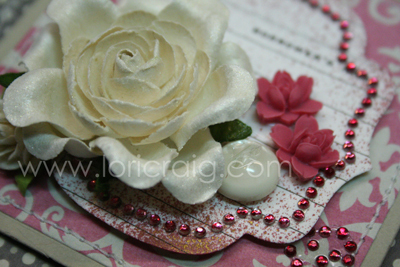 I started with my Nestabling™ Labels Nine Silver Rhinestones on the cover of my notebook. I have worked with a lot of shaped rhinestones over the years, and I really appreciate how the shaped bling from Want2Scrap™ holds its shape so that it can easily be removed from the packaging and affixed to my project. 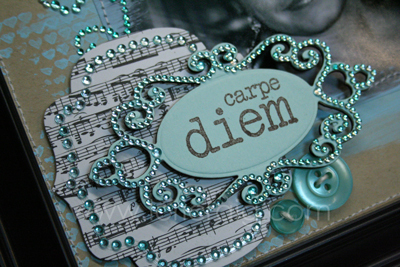 Then, I added a main image panel cut from kraft cardstock with a Spellbinders™ S4-233 Label Nine die template. The image is stamped with a large silhouette from the Discovery Your Wings set (I couldn’t believe the sale price when I went to grab the link at Taylored Expressions!) with Orange Marmalade Distress Ink and then the edges were distressed with Jasmine Mix’d Media Inx from Clearsnap. 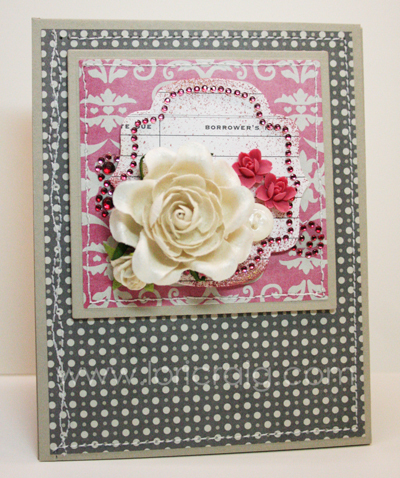 My next step was to add a sentiment from the Rest and Renewal set, stamped on patterned paper from Making Memories. 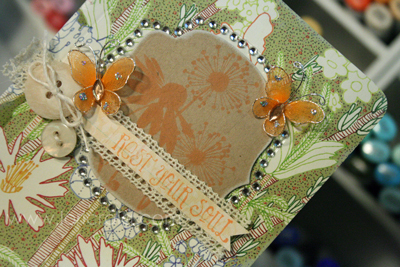 The sentiment tag was cut free hand and layered on a piece of crocheted ribbon. Next, this is my favorite part, I accented the combo with sweet orange 1″ nylon butterflies from Want2Scrap™ using a clear glue gel. Instantly kicks it up a notch while keeping the design clean and simple enough to work for a mini notebook! While all of my supplies were out (…who am I kidding? They are always out…) 🙂 I made a simple sympathy card. 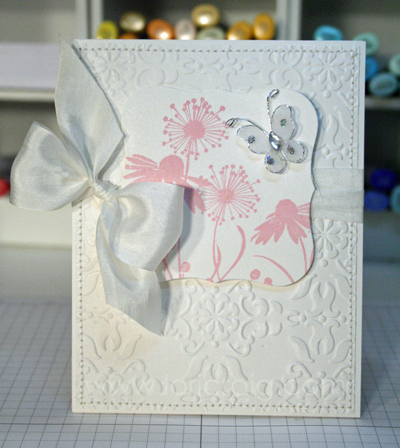 I used the same image from Discover Your Wings and stamped on shimmery white cardstock with Mix’d Media Inx from Clearsnap. The cardstock has just a little shimmer, which I love, and the ink is opaque for a very pretty finish. 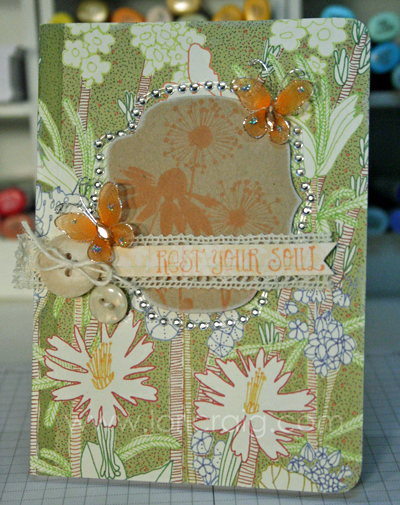 I cut my image layer with a Spellbinders™ S4-161 Labels One die and attached my butterfly with a clear glue gel. 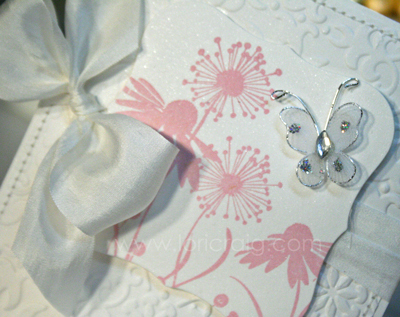 The main image panel is the attached to an embossed layer of shimmery white cardstock and tied with a wide silk bow before being attached to a white card base. I hope you are finding some time to be stampy this week! My kiddos went back to school, and we are settling into a nice routine. Thanks to Want2Scrap for having me as a guest designer. I’m loving it! Thanks to you for stopping by! See you soon! 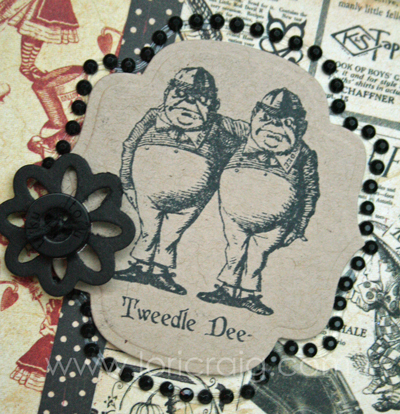 Tweedle Dee! Tweedle Dum! 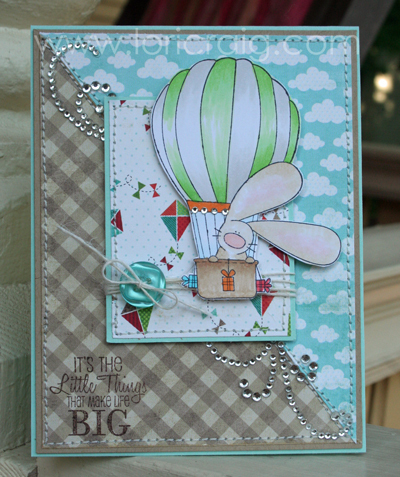 I’m so happy to be a part of the Graphic 45 and Want2Scrap Blog Hop today! What would a blog hop be without prizes? Yes, we will also be giving away prizes!! Both Graphic 45 and Want2Scrap™ will be giving away a $25.00 prize on two of the blogs and on each company’s Facebook page. The prizes will be hidden on two of the blogs (one for each company) so be sure to visit all of the blogs and leave a comment to increase your chances of winning. Jenn and I spent our last NYC in Central Park. Really should have spent a full day there. It was so beautiful. This is taken at the south-central entrance off of 59th. From there we headed west around the park perimeter. I promise, I’ll tie this all up with Alice in Wonderland! 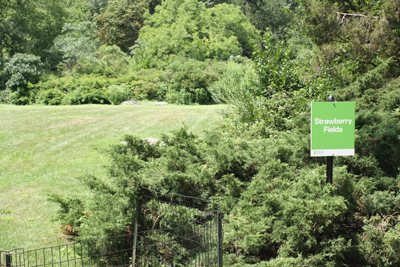 The park was so beautiful, an oasis in the midst of Manhattan, and we knew we’d only have time to see about half of the park, even if we clipped along. So, just a few snapshots. 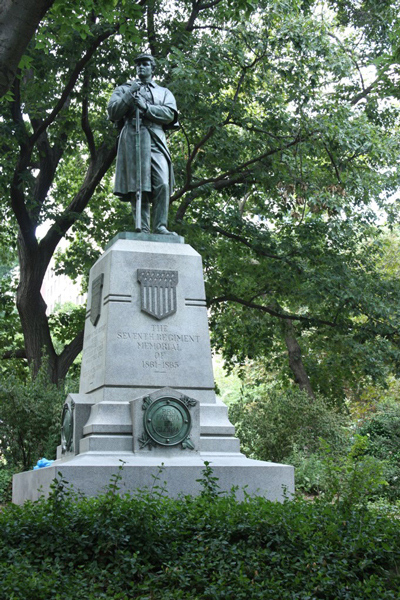 This is the 7th Regiment Memorial to honor Union soldiers of the Civil War. We walked around the park to the west. 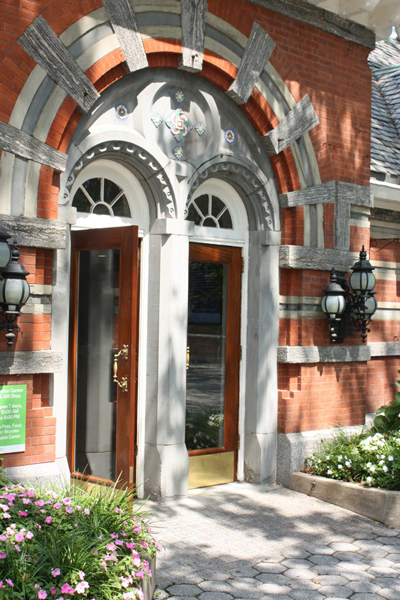 This is Tavern on the Green. 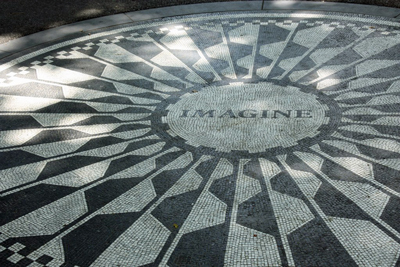 Imagine Mosaic at Strawberry Field. 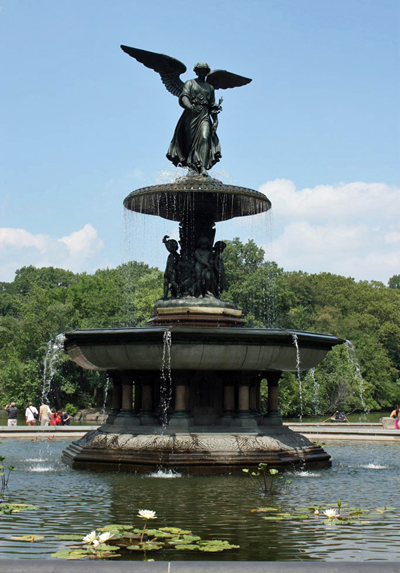 This is Bethesda Fountain ~ Angel of the Waters. 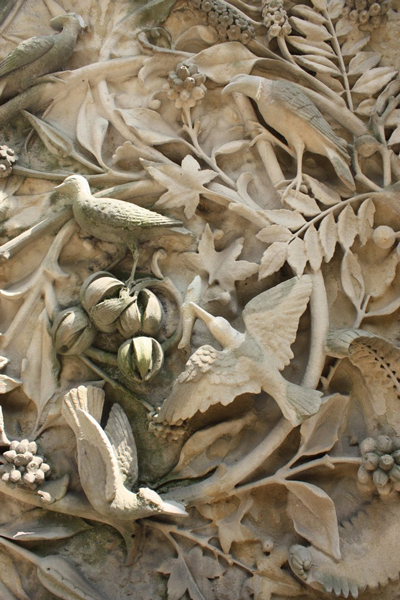 Beautiful wall carvings on stairs down to fountain. 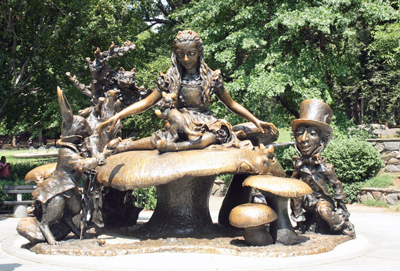 And, the final sight to see from our wonderful trip, the incredible bronze Alice in Wonderland. Isn’t it gorgeous? I promised you I’d tie it all back to the project. 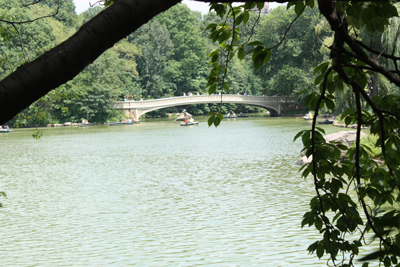 This was our final stop at Central Park before we raced back to the hotel for our luggage and jetted off to the airport in a famous NYC Yellow Cab. I’ll try to share more pictures in the next few days. We only took about 600 or so. Thanks for stopping by today. It’s a treat to work with the Want2Scrap ladies this month, and I’m appreciative of their invite to today’s hop. If you’ll excuse me, I’m off to daydream about my next NYC trip. Happy Sunday! 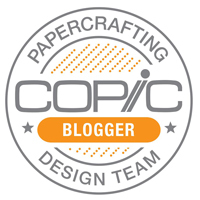 I have a sample for CPS Sketch 227 for you today! The CPS Sketch is being sponsored this week by our friends at Want2Scrap … You might know them as the Nestabling people. I’ve shied away from shaped bling in the past because I’ve had trouble peeling it off of the plastic transfer sheet and applying it to my project without it getting all jumbled up and twisted. I’ve used bling from Want2Scrap several times in the last few months, and I’m happy to report it’s much easier to work with than any other product I’ve tried in recent history. On this card, I used the Finesse Swirls! Thanks to them for sponsoring this week’s sketch! My balloon image is colored with Copic Markers. I’ve pictured the assortment above. See the one with no cap? It started as an empty Sketch marker. 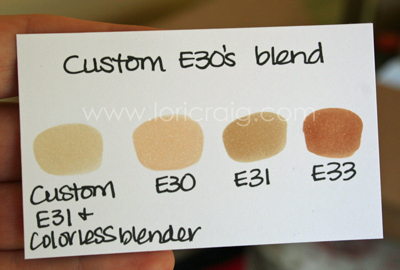 If you look at my colored projects, I use the E30 run of Copics a lot, but sometimes I want something a little lighter and closer to the E31 than the E30, so I’ve mixed E31 and blender solution to create a lighter shade of the beautiful tan combo. 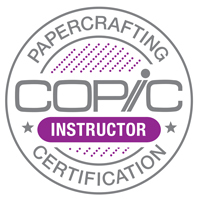 I’m on my way to Chicago – helping Debbie with the Copic Intermediate Certification class today and this evening and teaching the Standard Certification tomorrow and then having Lydia and Beate ~ the Splitcoast Crew – join me on Tuesday for the CHA Show! Looking forward to the summer family reunion with so many of the people who are a special part of my life because of this little ole obsession with paper and ink.